Yes, I know, it's not a 'Classic' but it's being sold to finance two cars. One for my daughter as she's leaning to drive now, and one for me which is a classic... a '93 80 2.0E. Details are in the ebay advert so no need to repeat here. Price is based on similar cars that have been offered for sale in recent times but I am, of course, open to sensible offers once the car has been looked at. Obviously I want the car to go to another enthusiast. It's been in enthusiast hands for the past twelve years now hence its great condition. PM if interested or give me a call on 01453 756461 in the evenings please. Nice looking car that, looks in top nic. Yep a nice looking car,i remember when you introduced it on it's old wheels. Glws. 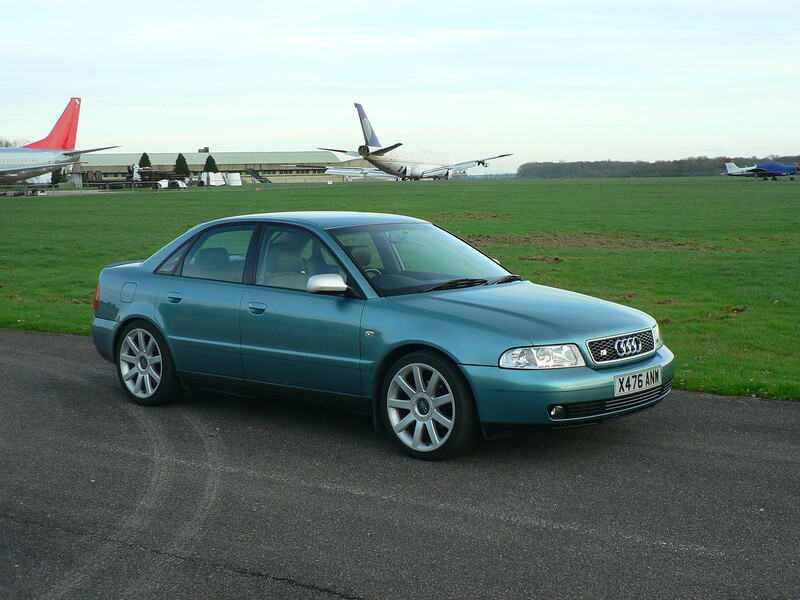 That is indeed a lovely example...Good cars, I had one for awhile, and regretted selling it. Thanks for the kind words chaps! It certainly is a regretful sale, but I can't have it all ways. Insurance on the A4 is higher than I would like simply due to the mods and it's a bit juicy around town. The Ford KA I've bought my daughter is going to be a killer to insure too on account of her age, 'L' plates etc. Something has to give sadly. The 80 I've bought will be cheaper all round and has at least some interest to it. I could've bought a Fiesta or something but that's really not me! Didn't sell on the first attempt, so have listed it again slightly cheaper although still open to reasonable offers. It will be going into storage from the 1st August as I'm not insuring it then losing money changing over to the 80. I've been working on the 80 and it's scrubbed up okay so looking forward to some sedate 'retro' motoring soon! I pay less than £100 each of my 'classics', one of which is a 1997 Merc that's been on a classic policy since I got it 6 or 7 years ago. Wish I could! No way I'd find another that's for sure. However, I need the cash to finance my daughters driving and my Mustang needs new tyres.